﻿ Are You Familiar With the Applications of Welded Steel Pipe? Are You Familiar With the Applications of Welded Steel Pipe? We have engaged in manufacturing welded steel pipe for years. And with the wide applications, the welded steel pipe helps us to earn a nice reputation among our customers. 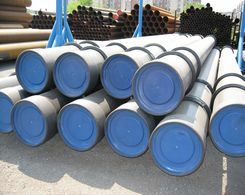 The steel pipes could be used in different industries for different purpose. These pipes are famous for the strength and sturdy. Of course, in some situation, you could choose other types of pipes for some special purposes. Before applying every pipe, we have tested the quality and insured that it has been endowed with the ability to meet the customers' requirements. In fact, the water system installed in our house could not be formed perfectly without the welded steel pipe. With the increasing demand, there is no wonder that more and more steel pipe suppliers are founded. Due to the excellent durability, welded steel pipes could be used to transfer different types of material, including the chemical material. 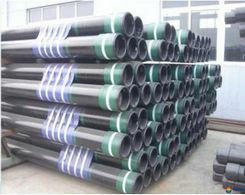 They could stay extreme stability even while suffering from the high temperature which could destroy the plastic pipes. Moreover, welded steel pipes are resistant to fire, which makes it more attractive as compared with its plastic counterpart. At the same time, the welded steel pipes do not have seams and so they are better sealed. That is why they could be used to transfer gas. Another advantages that is must be mentioned is the steel pipes are recycled. They could be used several times and while they are incapable of application, the steel could be melted to product other products. Next:Do You Know the Applications of API Steel Pipe?